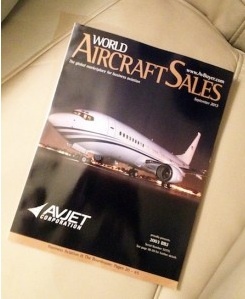 Kudos to our client Avjet Corp., for being featured on the cover of this month’s World Aircraft Sales magazine! Avjet is a world leader in the purchase, sale, charter and management of Boeing Business Jets, and one of the BBJs it represents for sale was this month’s cover plane. Avjet is the only BBJ operator in the United States approved for Part 135 global charter. This certification required rigorous reviews and approvals by the FAA and the U.S. Department of Transportation, and is supported by top safety ratings from all major charter safety auditing firms. Next Post: Congratulations to Birko – Named ColoradoBiz’ Top Company in Manufacturing!